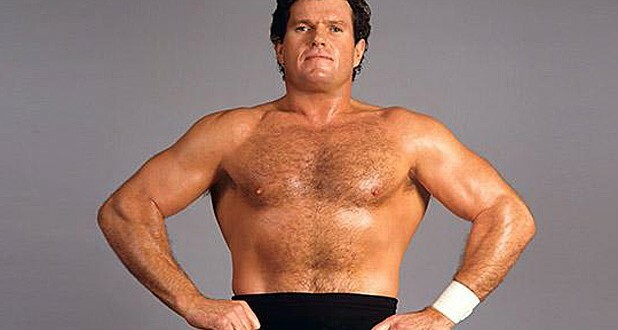 Former WWE wrestler “Iron” Mike Sharpe has passed away. The Hamilton native and self-proclaimed “Canada’s Greatest Athlete” passed away Sunday at age 64. Sharpe was known in wrestling circles as a “jobber” or “enhancement talent,” often losing to opponents the company wanted to promote to fans. “WWE extends its condolences to Sharpe’s family, friends and fans,” the federation said in a news release. Sharpe’s trademark gimmick was a black brace – presumably loaded with a foreign object – that he wore on his right forearm. He also was known for verbally abusing foes in the ring. Before his time in the WWE, Sharpe wrestled in his native Canada and other American regional territories. He debuted in the WWE in early 1983 and the highlight of his stint there – which lasted until 1995 – was a championship match against Bob Backlund in April 1983. He lost, a familar outcome for the grappler. Sharpe, who also wrestled in Japan, trained wrestlers after retiring from the ring. He ran a wrestling school in Brick, N.J. Among the wrestlers Sharpe mentored were former WWE competitors Charlie Haas and Simon Dean as well as the WCW’s Crowbar. According to reports, Sharpe had been wheelchair-bound since 2007.